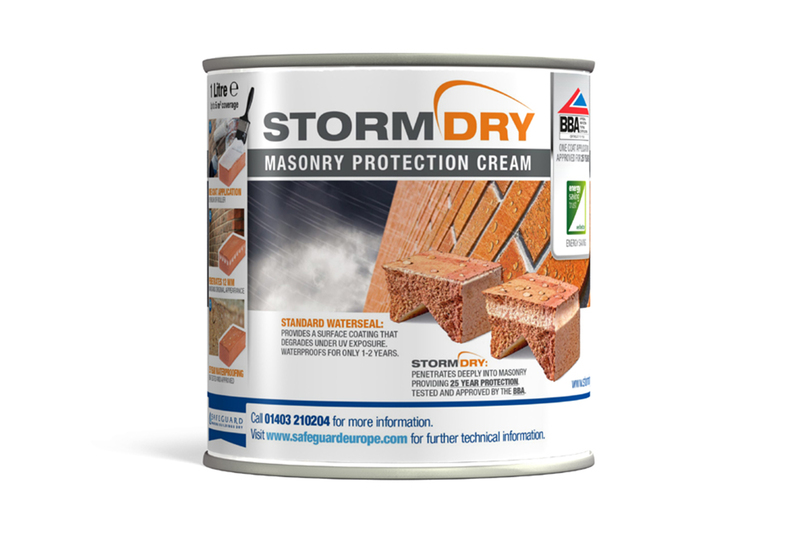 Stormdry Masonry Protection Cream from Safeguard Europe, is now available in handy one litre tubs; providing a great value solution for those dealing with localised rain ingress through masonry or wanting a convenient ‘on the van’ option for when needed. 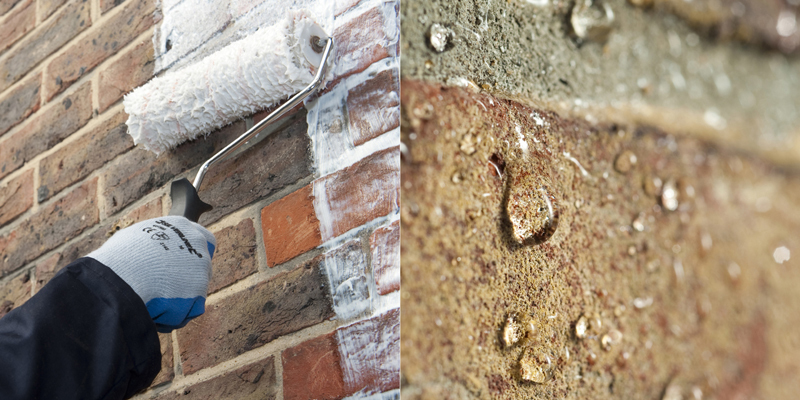 Stormdry Masonry Protection Cream stops rain penetrating external walls, keeping them warm and dry. The Energy Saving Trust has granted it ‘verified’ status in respect of its contribution to improving the energy performance of buildings, as high levels of moisture in the masonry, such as those in exposed locations, will lose heat faster than dry walls. Keeping walls dry by applying the solution will maximise their thermal performance. The cream can be applied to wet walls that will dry out through it because of its permeability. Unlike other rain penetration and damp-proofing treatments, it lines the pores of the masonry, so that water can escape as vapour but cannot enter in liquid form. This ‘breathability’ also helps counter the damp issues encountered in cavity wall insulation because the wall can dry out, while being protected from any further water penetration that will affect the insulation’s performance. Easily applied by either brush or roller, the product cures colourlessly to the original finish of masonry in just 12 hours. The cream penetrates far more deeply than other water repellents – up to 12mm in fletton bricks – so that it can also bridge cracks and better keep out moisture. For larger projects, or for those using the product regularly, Stormdry also comes in three, five and 20 litre tubs. With an active ingredient level of 40 per cent – compared to concentrations as low as 2.5 per cent for some competitors – Stormdry is not only far more effective at excluding moisture from masonry; it also has a significantly longer life expectancy of up to 25 years. We have 30 one litre tubs delivering approximately 5m2 of coverage and worth £33.58 each to giveaway.